The soft scent of this diffuser will fill the room with gentle elegance. With the perfect floral blend of orange flower, magnolia, vanilla, and white jasmine, the sweet smell is both calming and uplifting. As for the bouquet, we have selected flowers that will remind the recipient of Bosschaert's A Still Life of Flowers. We have included an Oriental Lily along with various other glorious flowers. 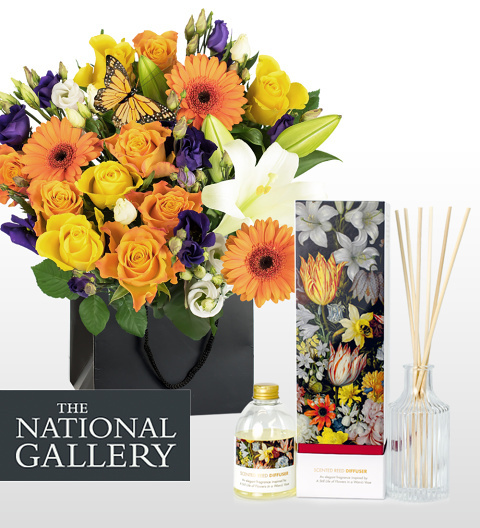 Perfect for any occasion and any recipient, this is the ideal luxurious gift.